In case you’re still a little bleary-eyed from the festivities of the New Year, we have been discussing a few tips and tricks for publishing Kindle books and learning how to maximize our exposure to increase sales. When we discussed how Amazon Author Central can help you improve the testing of your book, I mentioned that there are four areas that can have a significant impact on the sales of your book. Most of the items above are things that can be controlled by you, the author. The one item that cannot be controlled by the author is the book reviews. Now, the author can feature reviews in the description by utilizing Author Central, but actually obtaining the reviews is dependent on the readers of your book actually posting a review. So, there’s nothing we can do to get reviews, right? Clearly we cannot force a reader to leave a review. Unless of course you plan to personally visit each and every reader and strong-arm them into publishing a review for your book. But that’s probably not the best approach. Instead, think outside the box and get creative. And in all reality, if you’re familiar with marketing, you will see that there is a way to get reviews that people and companies use on a regular basis to solicit reviews. Look around the Interweb and you will see any number of brands offering their product for free in exchange for feedback. Or you will see bloggers that obtained a free product in order to evaluate the product and write a review. You can do the same thing with your Kindle book. If you’ve read anything about publishing books for the Kindle, you’ve likely encountered more than a few people that encourage you to go to places like Fiverr to buy reviews of your book. Do that if you like, but I wouldn’t recommend it. Amazon frowns upon buying reviews, or posting reviews that are not authentic. They’ve even implemented a feature that identifies reviews as coming from an Amazon verified purchase in an effort to weed out people pumping dummy reviews into their books. Give away review (free) copies of your book and in exchange request that the recipient provide an honest review on Amazon. Keep in mind that there is nothing that guarantees the recipient will actually write you a review, but the practice is compliant per Amazon’s guidelines. Full disclosure: If you received a free product in exchange for your review, please clearly and conspicuously disclose that that you received the product free of charge. While Amazon supports providing free review copies of your book, you do need to be careful that you’re not providing the book for free to everyone. Amazon states that they reserve the right to price match your title to the lowest price that the book is being made available. If you’re listing your book for free on your website to every visitor, you may very well find that Amazon equates this to your book being available for free and thus lowers the listing price on your book. Rather than openly providing the book for free to anyone and everyone that happens along, put forth an offer to your community that you would be happy to provide a free review copy to interested parties. If you would like to receive a review copy of my book, give me a shout! When you learn to awaken your familyâ€™s creativity, wonderful things will happen: youâ€™ll make meaningful connections with your children in large and small ways; your children will more often engage in their own creative discoveries; and your family will embrace new ways to relax, play, and grow together. With just the simple tools around youâ€”your imagination, basic art supplies, household objects, and natural materialsâ€”you can transform your family life, and have so much more fun! Not sure what that has to do with encouraging Amazon reviews, but right on! Indeed, word of mouth is an extremely powerful marketing tool. That is a great way to get reviews without looking bad in the eyes of amazon. True, Amazon states that as long as reviewers don’t receive any compensation beyond a free copy of the book it is all good. Offering a free book in exchange of a honest review is what i’ve been doing for the past couple of months. Sometimes, the reviews are not good as we expected but it is still a good thing because we would be able to know the areas that we need to improve in order to make the book a lot better. Do you have a book on Amazon? Drop us a link here so we can check it out – or send it to me via the contact page if you don’t want it disclosed publicly. Speaking of which…people should check out the guy in the comment right below this one, Matt Kinsella! I have outright just asked whole bunches of people who I know have read my book to leave a review. It’s amazing how many will say they are so glad to do it but they wouldn’t do it unless I prompt them to. It’s odd that people will come back to me and tell me what they loved about my book and how it helped them but they wouldn’t automatically leave that feedback on Amazon or wherever they bought it. I wonder what the ratio or % is of people who enjoyed a book who left feedback vs those that did not? I would say it’s 90% or higher that enjoy it but would not automatically leave feedback or a review. Matt, I don’t have any hard numbers but I’d have to guess that you’re in the right ballpark. It is far too common that when people are pleased with something they don’t go out of their way to share that outside of their immediate circle. But when someone is unhappy they are much more likely to make sure that everyone knows about who wronged them. George, thanks for contacting me about this…also got your private message and shared my thoughts with you there! Hi Derek. I recently started up a blog to document my personal experiences and struggles with anxiety and panic attacks and also provide useful information for my readers. It is my plan to write a book on the topic of anxiety disorders and sell it through Amazon. I just wanted to say I found your post very helpful and enlightening. @Why buy if you can have it free right? There’s a lot of marketers who offered giveaways. Just grab the opportunity to learn in a very inexpensive way. grea book , I just buy it!! Nice post. Short of requesting close friends or relatives to post a review after reading the book, there’s not much that can be done. That’s when incentives come into play like the ones you have described. Good point about not going too far and giving away more than you gain as a profit is still the goal after all. 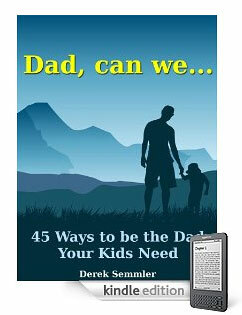 and this article will help me to complete my eBook. Thanks, I’ve been toying around with the idea of giving away copied of my book for review. Of course, everyone likes something for free. Appreciate the tip! If your giving away your book for free then your biasing their reviews because people will obligated to give back something to you. I think it is against the ethics. you should engage in promotional activities but strictly not encourage people to write reviews for a free copy. I understand what you’re saying but I disagree that it is against ethics. It is extremely common with books, or any other type of product, to provide free copies for people that will provide a review. Where it would violate ethics would be to say that you demand a 5-star, or top review, in exchange for the free goods. If the recipient provides an honest review of the product, I don’t see any issue. As a blogger, I’ve been contacted by many publishing houses to review books as well as other PR companies looking for a review of a product or service. It is a very common practice; now that doesn’t mean people don’t try to game the process but it can be done in a legitimate fashion. I suspect if Amazon feels that reviews tend to be positive for free book reviews they will discourage or ban this method some time in the future. Amazon wants to ensure that reviews are unbiased and that readers do not feel oblidged to leave a positive review. It is clearly stated in their guidelines that reviewers are permitted to receive a free copy of the book but not other forms of compensation are permitted. The thing that will get you in trouble is going to places like Fiverr and paying someone to leave you a review. I would be surprised to see Amazon change their policy about providing free copies for people to review. One reason is that just because an author gives someone a free copy to review, that doesn’t guarantee that the recipient will even follow through and write a review. It is a great way to get exposure and feedback on your book. What is your book about? Thanks for the post. Giving away free reviews of books will be really helpful. One more way that might increase the chances people will leave a review is by encouraging them to do so through your writing in the book. Like for about the author, include that the author loves feedback from readers on his book. Nice post. Short of requesting close friends or relatives to post a review after reading the book, thereâ€™s not much that can be done. Thatâ€™s when incentives come into play like the ones you have described. I’ve just launched my first full length book in Amazon. Tis post has got me thinking about comments..
Is it ok in Amazons eyes to offer readers a full credit/refund in return for a review?… Rather than giving away a free copy? I have my own blog and access to other websites where I could place this offer. What’s everyone’s views on this? Great tips–will come in handy when I write a book on WordPress! Thanks! This information will be really useful for me as i plan to publish my book, a compilation of essays actually on kindle store. “People love free”, whaw I think that’s a main point here. Thank you for writing this though, as I’ve planned also to write my e-book regarding Life Tips or topics related with that . I will often decide whether or not to read a book based on the reviews. I figure that if people have the same interests or hope for a book, then I will probably have the same reaction to the book. I know in reality, that it’s not always going to be the case, but more often than not, if a book doesn’t get favorable reviews, I won’t buy it. I’ve always wondered where the reviews come from. They are too well written to be just something that someone replied to in an Amazon feedback e-mail! Is there a way to link directly to the Amazon review page for a product? It’d be nice if there was a widget or something but I can’t seem to find anything.